Khameleon Is found in Wii game armageddon. Now for a story analysis! <br/> <br/><u>MKT</u> <br/>She appeared on the N64. Very little is known about Khameleon except that she is the last living living female Zaterran, and that she is with the good guys, but only loosely. According to her ending, she happens to turn Reptile against Shao Kahn and rebuild Zaterra. <br/> <br/><u>Armageddon</u> <br/>She appeared on Wii. According to her bio, she spent a lot of time trying to get back at Kahn, endhng up to her involvment. In her ending, she turns everyone into a raptor. Now for a story analysis! She appeared on the N64. Very little is known about Khameleon except that she is the last living living female Zaterran, and that she is with the good guys, but only loosely. According to her ending, she happens to turn Reptile against Shao Kahn and rebuild Zaterra. She appeared on Wii. According to her bio, she spent a lot of time trying to get back at Kahn, endhng up to her involvment. In her ending, she turns everyone into a raptor. <div class="forumQuote"><b>Mkman1 Wrote:</b><br/>notise that khameleon is always with netendo:legacy_wow:</div> <br/> <br/>An idea and a tip, MKMan, <br/> <br/>1) Spell check. The Edit button's there for a reason, and it's not like you have to beat anyone at the punch in threads like this. <br/> <br/>2) Hmm...(hisses)...Could Snake have some non-Nintendo company coming for Brawl? 1) Spell check. The Edit button's there for a reason, and it's not like you have to beat anyone at the punch in threads like this. 2) Hmm...(hisses)...Could Snake have some non-Nintendo company coming for Brawl? I've never played as Khameleon in my life cuz I've never owned a Nintendo system except for Super Nintendo. However, she seems like a fun character. <br/> <br/>One reason why I know she'd be at least somewhat fun to play as in MKA is because they gave her Eagle Claw, a pretty fun st<i></i>yle. <br/> <br/>Anyway, I have a question.... <br/> <br/>Don't you guys think Khameleon should have been given reptilian features as oppose to the usual swapped look and moves? <br/> <br/>She looks nothing like Reptile and they're suppose to be of the same race. I wish she would have been Reptile-like in MKA. I've never played as Khameleon in my life cuz I've never owned a Nintendo system except for Super Nintendo. However, she seems like a fun character. One reason why I know she'd be at least somewhat fun to play as in MKA is because they gave her Eagle Claw, a pretty fun style. Don't you guys think Khameleon should have been given reptilian features as oppose to the usual swapped look and moves? She looks nothing like Reptile and they're suppose to be of the same race. 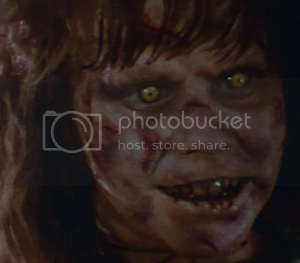 I wish she would have been Reptile-like in MKA. <div class="forumQuote"><b>QueenSindel(TheBitch) Wrote:</b><br/>I've never played as Khameleon in my life cuz I've never owned a Nintendo system except for Super Nintendo. However, she seems like a fun character. <br/><br/> <br/><br/>One reason why I know she'd be at least somewhat fun to play as in MKA is because they gave her Eagle Claw, a pretty fun st<i></i>yle. <br/><br/> <br/><br/>Anyway, I have a question.... <br/><br/> <br/><br/>Don't you guys think Khameleon should have been given reptilian features as oppose to the usual swapped look and moves? <br/><br/> <br/><br/>She looks nothing like Reptile and they're suppose to be of the same race. I wish she would have been Reptile-like in MKA.</div> <br/> <br/>They wanted to go the very easy way by making her a female version of Chameleon, which suggests that Chameleon is also from the Raptor/Saurian race. I personally don't like her MKA look that much, and I would've liked her to have a more humanoid type form with some reptilian features, such as a small tail, reptilian-sorta claws or something, etc. <br/> <br/>Story-wise, there's not much for me to say really. I guess she does deserve a happy ending at least. If she were to return, I have no idea what could be done with her, though I do find her story in Xia's next-gen stories to be kind of interesting. <br/> <br/>Gameplay-wise, she's hard for me to use in MKT, and I haven't played the Wii version of MKA, so I don't know how she is there. I think her st<i></i>yle should've been kind of like a combination of moves from the different female ninja-type characters. I'm not sure about her weapon st<i></i>yle. Maybe she could use a Nunti, which is an Okinawan polearm weapon. <br/> <br/>It looks like <a href="http://www.oshukai.com/images/armes/nunti.jpg">this</a> <br/> <br/>So, it kind of has a bit of a Bo staff thing going on as well as kind of a Sai thing going on. I think it'd be kind of cool to see her use. Going back to her unarmed st<i></i>yle, maybe she can use some animal st<i></i>yle of Kung Fu, and I don't mean Ying Jow Pai (Eagle Claw), but perhaps a different st<i></i>yle like Yongchun Baihequan (Yongchun White Crane Boxing) or maybe even one of the Southern family st<i></i>yles of Kung Fu like Choy Gar Kuen (Choy Family Fist, a.k.a. Rat st<i></i>yle Kung Fu), which is derived from Snake st<i></i>yle Kung Fu. <br/> <br/>Special-move wise, I'd rather see some unique specials for her or at least a different take on some of the moves that the female ninja-type characters use. Her throws should be distinct as well as her voice, get-up animation, and victory pose. <br/> <br/>Overall, I'm relatively indifferent towards Khameleon. If she doesn't come back, she should have a happy ending. If she does return, they should do something decent with her. They wanted to go the very easy way by making her a female version of Chameleon, which suggests that Chameleon is also from the Raptor/Saurian race. I personally don't like her MKA look that much, and I would've liked her to have a more humanoid type form with some reptilian features, such as a small tail, reptilian-sorta claws or something, etc. Story-wise, there's not much for me to say really. I guess she does deserve a happy ending at least. If she were to return, I have no idea what could be done with her, though I do find her story in Xia's next-gen stories to be kind of interesting. Gameplay-wise, she's hard for me to use in MKT, and I haven't played the Wii version of MKA, so I don't know how she is there. I think her style should've been kind of like a combination of moves from the different female ninja-type characters. I'm not sure about her weapon style. Maybe she could use a Nunti, which is an Okinawan polearm weapon. So, it kind of has a bit of a Bo staff thing going on as well as kind of a Sai thing going on. I think it'd be kind of cool to see her use. Going back to her unarmed style, maybe she can use some animal style of Kung Fu, and I don't mean Ying Jow Pai (Eagle Claw), but perhaps a different style like Yongchun Baihequan (Yongchun White Crane Boxing) or maybe even one of the Southern family styles of Kung Fu like Choy Gar Kuen (Choy Family Fist, a.k.a. Rat style Kung Fu), which is derived from Snake style Kung Fu. Special-move wise, I'd rather see some unique specials for her or at least a different take on some of the moves that the female ninja-type characters use. Her throws should be distinct as well as her voice, get-up animation, and victory pose. Overall, I'm relatively indifferent towards Khameleon. If she doesn't come back, she should have a happy ending. If she does return, they should do something decent with her. Like many I don't own Nintendo consoles so i've never really had the oppertunity to play as her. Although it is rather strange how she seems to be on Nintendo consoles only. <br/> <br/>If only she was on one of the Sega or Sony consoles but no.... <br/> <br/>Still, the thing about Khameleon is that she will only really strike out when Zaterra and the Raptor race play a significant role. Until then she's simply a clone to me. <br/> <br/>Although it's interesting to see that she has one of Tanya's moves, suggesting Tanya has now been noted as a real yellow female ninja character rather than a female who just happened to be wearing yellow. <br/> <br/>They will probably make a cyber ninja Chameleon/Khameleon called Qhameleon or something, I wouldn't be suprised. <br/> <br/>Perhaps Taven with his new powers will allow Zaterra to become a seperate realm from Outworld again restoring the Raptor race, so Reptile and Khameleon getting 'jiggy with it' will be for recreational purposes only and not for the safety of their race, but it means the Raptor race returns. This may also allowe Kuatan to become a seperate realm again for the Shokan. <br/> <br/>Speculation, <br/> <br/>I am not buying a Wii console just for that game, anyway i'm a retro gamer... 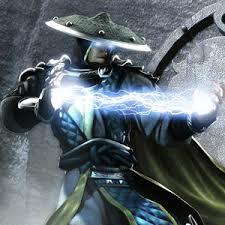 I'm just a huge Mortal Kombat fan. So I have missed both of Khameleon's game appearances. However it's just not buying a new console just for one character. I managed this through MK:DA and MK:D I can manage it for MK:A. <br/> <br/>If she is released on another game (on anything that isn't sodding Nintendo) then I will be glad to sample her out. <br/> <br/>Her return to the storyline will also be highly interesting. 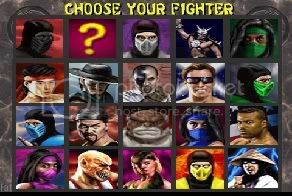 <br/> <br/>I mean we all thought Reptile was a hidden character only for secret background purposes in MK1, same with Smoke/Jade in MK2, and look what they has become now. Like many I don't own Nintendo consoles so i've never really had the oppertunity to play as her. Although it is rather strange how she seems to be on Nintendo consoles only. Still, the thing about Khameleon is that she will only really strike out when Zaterra and the Raptor race play a significant role. Until then she's simply a clone to me. Although it's interesting to see that she has one of Tanya's moves, suggesting Tanya has now been noted as a real yellow female ninja character rather than a female who just happened to be wearing yellow. They will probably make a cyber ninja Chameleon/Khameleon called Qhameleon or something, I wouldn't be suprised. Perhaps Taven with his new powers will allow Zaterra to become a seperate realm from Outworld again restoring the Raptor race, so Reptile and Khameleon getting 'jiggy with it' will be for recreational purposes only and not for the safety of their race, but it means the Raptor race returns. This may also allowe Kuatan to become a seperate realm again for the Shokan. I am not buying a Wii console just for that game, anyway i'm a retro gamer... I'm just a huge Mortal Kombat fan. So I have missed both of Khameleon's game appearances. However it's just not buying a new console just for one character. I managed this through MK:DA and MK:D I can manage it for MK:A. If she is released on another game (on anything that isn't sodding Nintendo) then I will be glad to sample her out. Her return to the storyline will also be highly interesting. 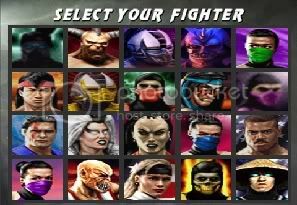 I mean we all thought Reptile was a hidden character only for secret background purposes in MK1, same with Smoke/Jade in MK2, and look what they has become now. Just to cover Khameleon's racial matters. I fathom Khameleon's dark skin (her alternate in MKT) because chameleons can camouflage their skin colouration. I'm not sure this would make her a fully fledged black, mixed or white person, more so an imitation. She is a breed of saurian at the same time after all. I see her as a transpicuous shape-shifter who can mimic a human exterior (similar to Mystique from X-Men, but lizard). It's a tricky one. I never played as Khameleon back in the day do to me never having Trilogy on N64 or Armageddon on Wii but she really could be a good character if NetherRealm would take the time to actually develop her. She actually has a story unlike Chameleon. NetherRealm bring back Khameleon! I question Khameleon's origins because there is no proof she has ever had a distinguishing saurian look to her. We have quite frankly never seen Khameleon in a reptile form, but we have with Syzoth. That's where they are different. <div class="forumQuote"><b>DAHK9 Wrote:</b><br/>I question Khameleon's origins because there is no proof she has ever had a distinguishing saurian look to her. We have quite frankly never seen Khameleon in a reptile form, but we have with Syzoth. That's where they are different.</div> <br/> <br/>We probably won't honestly. Look how long it took for us to know that Reptile's name isn't Reptile. We probably won't honestly. Look how long it took for us to know that Reptile's name isn't Reptile.